I am proficient in use of 3DS Max (3D modelling, texturing and animation), Adobe Mudbox (digital sculpting), Unity (interactive apps and games), and Photoshop (everything 2D). 'Nowhere is safe' is an educational animation for the charity Medics Against Violence (MAV). It is my dissertation project for my MSc in Medical Visualisation. I researched whether and how animation can be used effectively to convey understanding of anatomy to teenagers. I learned a lot from my research, do get in contact if you'd like to know more! The animation was produced using 3DS Max and Adobe After Effects, in a timescale of about two months. I am now evaluating feedback and planning changes for the animation. My first 3D modelling project! An animated recreation of the arm. It did not have to be anatomically accurate. 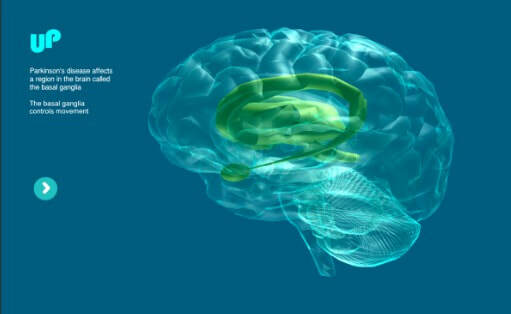 Parkinson's disease is the second biggest neurological disorder after Alzheimer's disease. 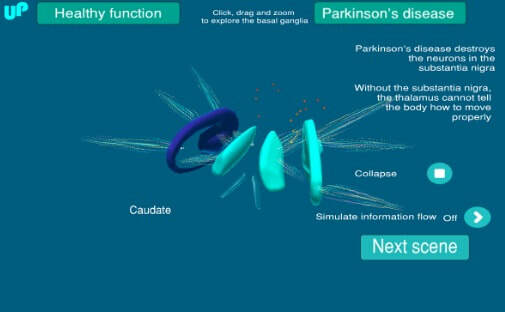 This proof-of-concept interactive app explains how Parkinson's disease affects the brain. This was a project for my MSc in Medical Visualisation, produced in two weeks using Unity. The criteria was to produce a functional app, and it is. The science editor in me would make a lot of changes to the content and appearance of this app. If you'd like to know what changes I'd make, please contact me! Take on the role of a scientist and investigator as you unravel the mystery of a dying lake. 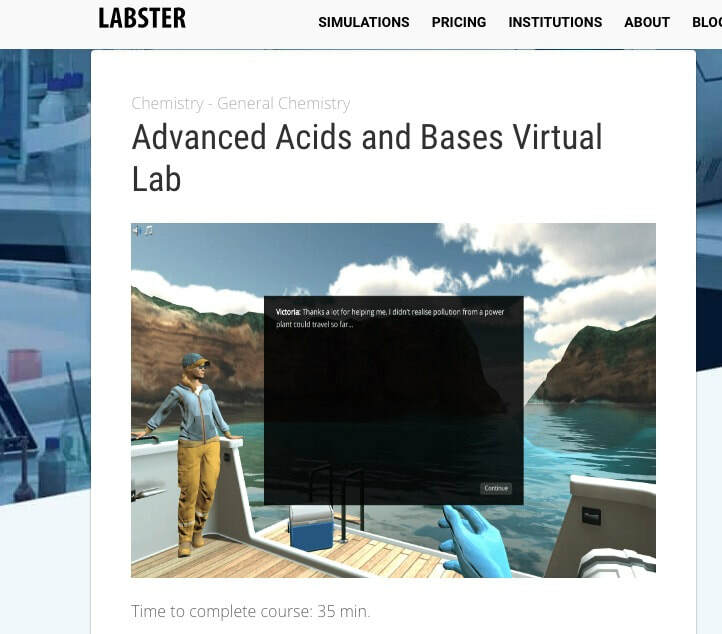 Labster are a company producing first-person science learning games for university students, created in Unity. 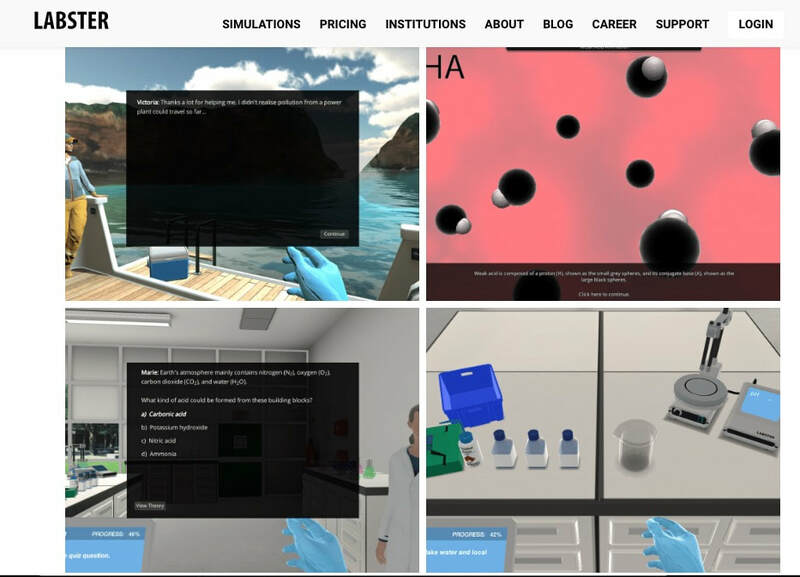 In 2016, as a Science Simulation Director at Labster, I designed and wrote the storylines and scientific content for two chemistry simulations, tested playthrough and tweaked code. Contact me if you'd like to know more.